This is a very cute and sweet looking Easter fabric crocheted basket. Easter egg basket is not the only use for it. You can store your candies, fruit or other things in it. You can use it to store your jewelry or crafting supplies. Or, you could go shopping with it. The size of this Easter fabric crocheted basket is 6 by 10 inches. It is totally go green project. I have used an old curtain and a piece of old brown flower pattern fabric to make the yarn for the rug basket. I have also used an old bag handle to upcycle it and make the basket handle. 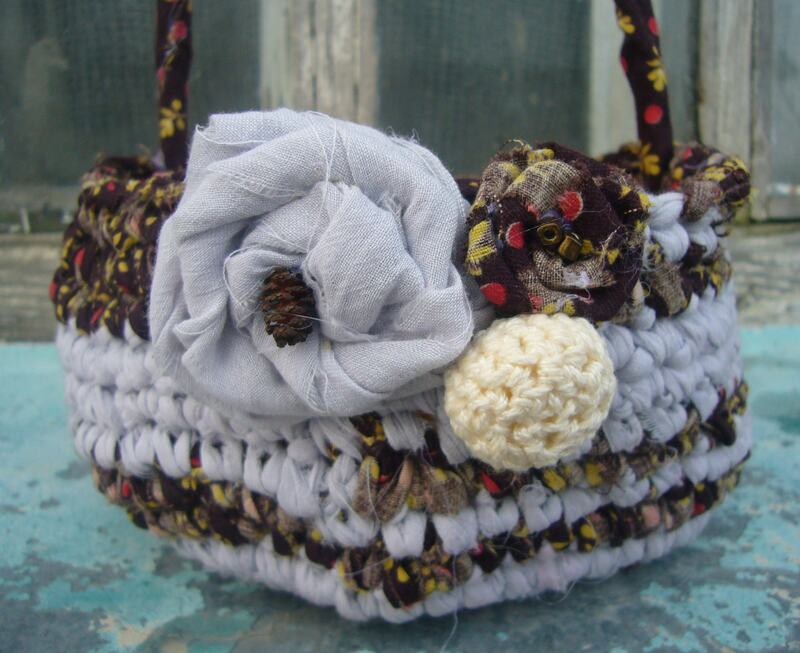 The Easter fabric crocheted basket is decorated with rolled fabric handmade flowers and with one crocheted bead. 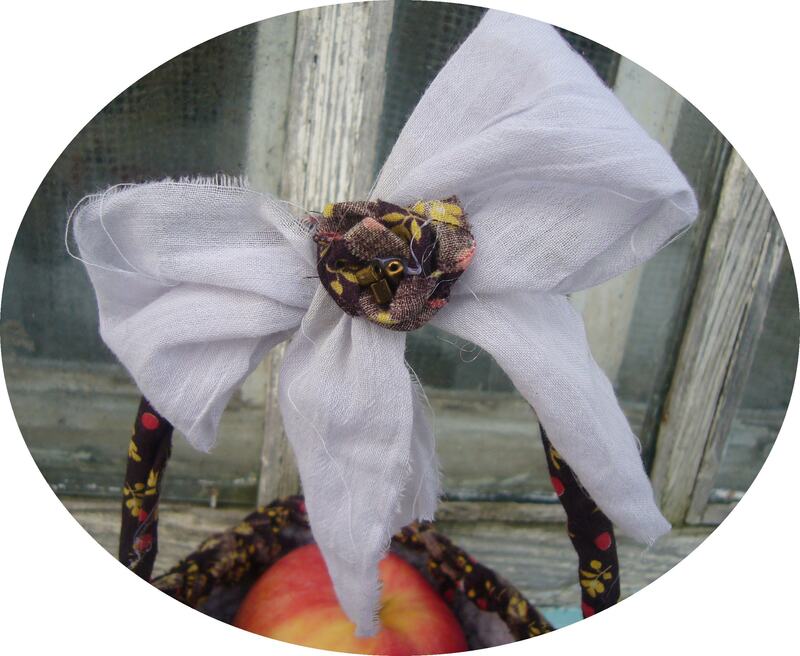 The basket handle is decorated with a handmade bow and a rolled flower. 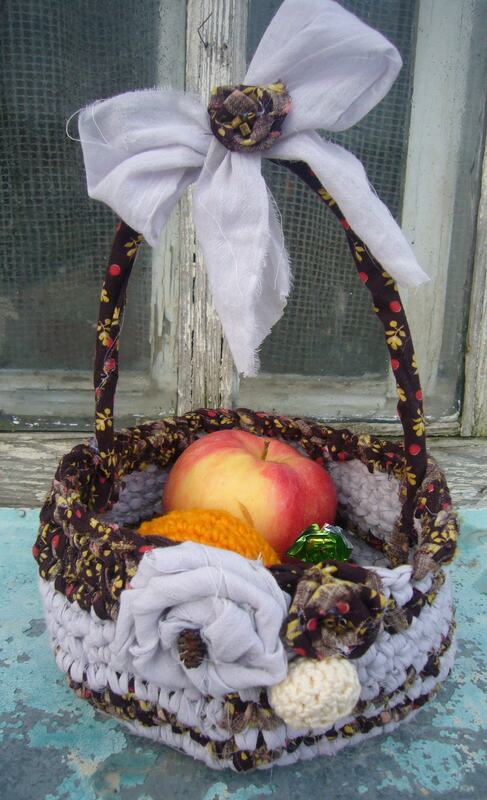 This basket is handmade and very cute. 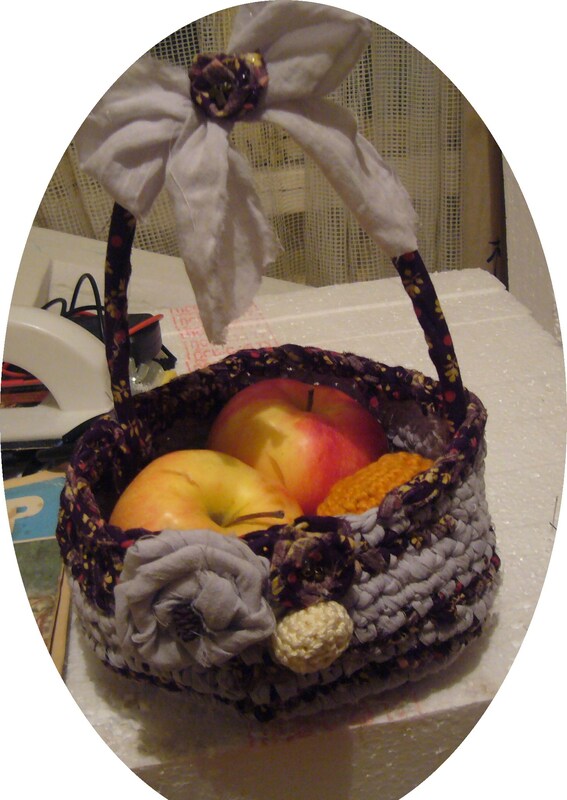 I really enjoyed making this Easter fabric crocheted basket and it is a great gift for ladies. Check out my Pinterest board for more crafting inspiration and my ETSY shop. This entry was posted in Crocheting, Go green and tagged brown basket, crafts, creative tips, crocheting, DIY, easter basket, Easter fabric crocheted basket, etsy, fabric yarn, gift basket, handmade, handmade gifts, home decor, pinterest, recycled crafts, repurposing, rolled flowers, rug basket, tips for moms, upcycle. Bookmark the permalink.